Protect your flooring investment with window treatments. 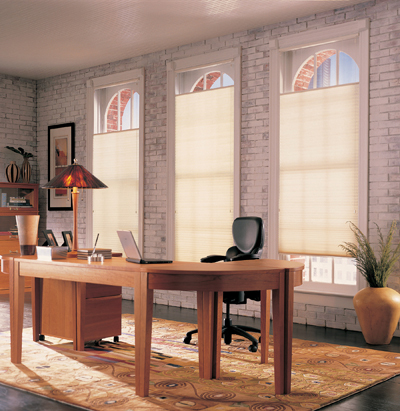 Shutters & Blinds will not only protect your flooring, it also protects your utility bills and furniture. 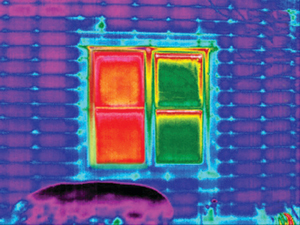 Have you ever considered the amount of heat or cool air that escapes through your windows? That is costing you a lot of money every year. It pays to buy better window treatments and save those dollars. Notice the infrared tempurature difference between the window that has a quality window treatment and the one that doesn't. Sure you can buy inexpensive treatments - and the utilities company will thank you for it. But if you spend enough to buy real energy saving treatments you can recover your costs in utility savings. Plus, you can add fashion that completes your room. Fashion that you can be proud of for years to come. We use high quality brand names like Hunter Douglas and Norman Window Fashions to make a bold fashion statement while saving energy costs. Visit our store to see for yourself how beautiful and efficient these quality window treatments are. When it comes to privacy, people don't go minimal. However you don't have to give up adding some sunshine in your day. Just use the popular Top-Down Bottom-Up feature to set your blinds in any position to give youjust the right amount of privacy while maintaining the sunlight we all enjoy. Go ahead, dream a little, then ask our experts to put your dreams inside your windows.